Enjoy the top 9 famous quotes, sayings and quotations by Arno C. Gaebelein. 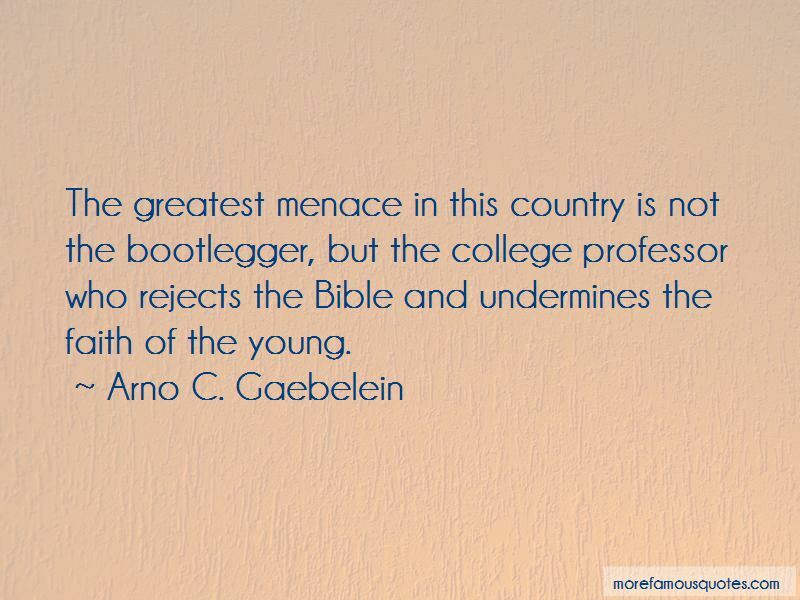 The greatest menace in this country is not the bootlegger, but the college professor who rejects the Bible and undermines the faith of the young. 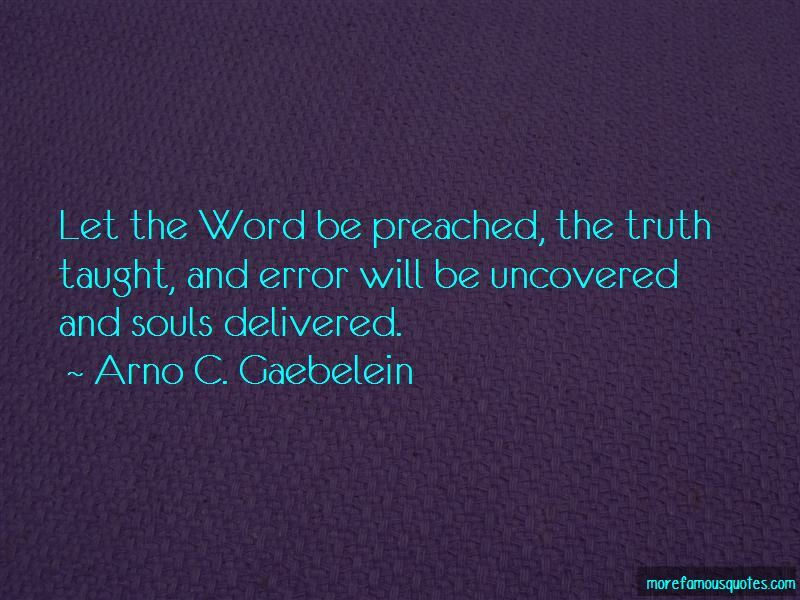 Let the Word be preached, the truth taught, and error will be uncovered and souls delivered. 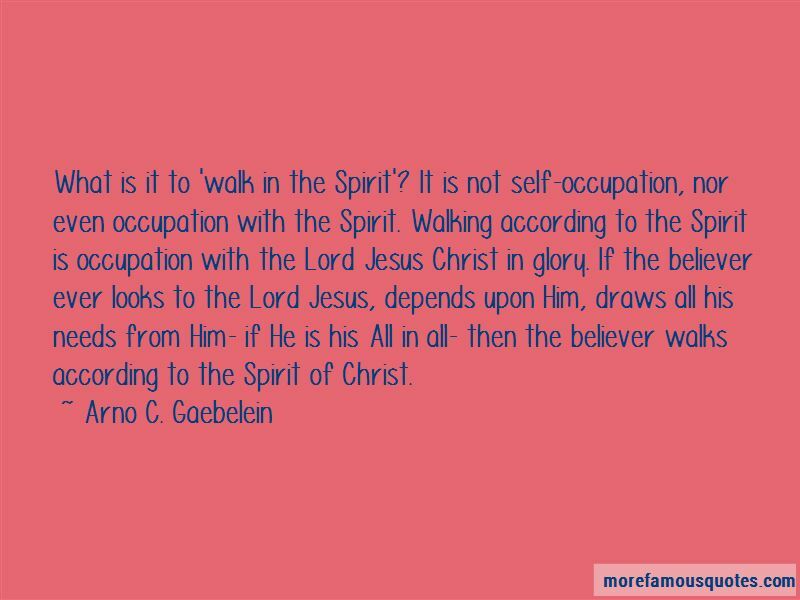 Want to see more pictures of Arno C. Gaebelein quotes? 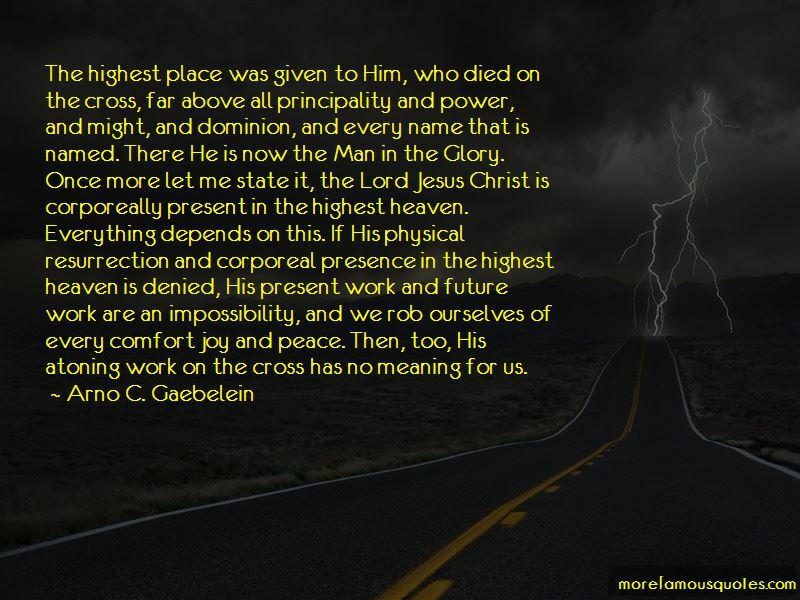 Click on image of Arno C. Gaebelein quotes to view full size.